The internet has disrupted many industries from publishing to e-commerce. With the advent of mobile, the internet has additionally disrupted gaming, taxis, and DVD renting. We’ve all heard of how big of a success Netflix, Inc. (NASDAQ:NFLX) has been and how it laid waste to Blockbuster. Netflix has been so successful that there is only one Blockbuster store in the world now versus around 9,000 in 2004. With faster internet speeds and practically everyone who wants internet with a connection in America, many analysts predict that the internet, or streaming video, will soon disrupt cable TV. According to Statista, around 44% of Americans households with TVs are wired to cable, and cable revenue from subscriptions amounted to around $81 billion in 2016. Given the large number and the potential for disruption, there is a lot of opportunity for potential entrants. Let’s see how hedge funds and other smart money institutions are positioned to take advantage of the streaming trend. Currently Netflix is the undisputed leader in streaming. It’s the one that popularized the trend and it has justly been rewarded with a market cap of a big media company as a result. Due to its relative affordability, (the standard plan is around $12.99 per month), many bulls don’t think its users will bail on it once other competitors offer their products. Currently, the numbers agree with the bulls. Netflix is clearly still growing despite competition from Amazon. Netflix reported first quarter net additions of 9.6 million members, of which 1.74 million were in the U.S. Management sees net additions of around 5 million in Q2. In terms of the smart money, they have largely stayed in the streamer at least as of the fourth quarter. Out of the around 740 funds we track, 83 elite funds owned shares of Netflix, Inc. (NASDAQ:NFLX) at the end of December, down one fund from the previous quarter. Speaking of Disney, the company’s stock soared after it gave more details on its future streaming option Disney+ which will be priced at just $6.99 per month and offer users access to numerous new and old Disney shows. Given how popular Disney shows can be with kids, the offering could potentially be a must-have for many family oriented streaming households. Given its many hit content franchises from Pixar to Star Wars to Marvel, bulls hope Disney’s offering could potentially rival Netflix’s offering one day and help offset Disney’s exposure to the potential secular decline of cable. 71 top funds were long The Walt Disney Company (NYSE:DIS) at the end of the fourth quarter, up 8 funds from the previous quarter. After spending an estimated $2 billion in Hollywood, Apple officially entered the streaming arena by announcing that it will launch Apple TV Plus in the fall of 2019. While many Apple fans and investors are excited, the tech giant has withheld some details. So far the company hasn’t said anything about how much its offering will cost or how many programs will be around during launch time. Despite the lack of details, bulls cannot count Apple out given its huge cash hoard on its balance sheet, and its ability to market to hundreds of millions of iPhone/iPad/iTunes users. 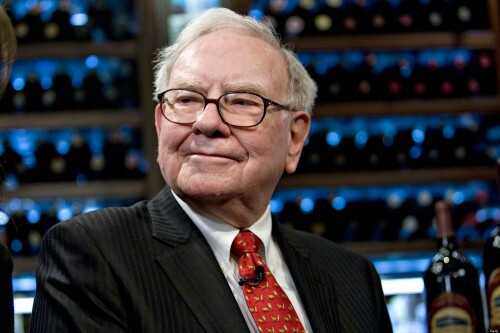 Warren Buffett’s Berkshire Hathaway is a big Apple holder with a reported 249.5 million shares at the end of the fourth quarter, down 3 million shares from the quarter before. While it might be more known for being an e-commerce store, Amazon is a big streaming player given that Amazon Prime provides complementary streaming to tons of titles to every Prime member. Unlike Netflix, Amazon also sells videos on demand and the offering helps Amazon recoup some of the money spent on programming, which analysts estimate to have amounted to around $5 billion in 2018. Netflix spent around $12 billion on content for the same year. Of the around 700-740 elite funds we track, 168 funds owned $19.02 billion of Amazon.com, Inc. (NASDAQ:AMZN) on December 31, versus 150 funds and $21.77 billion respectively on September 30. Although Alphabet might not be a name traditionally mentioned in the streaming business, Alphabet is a big player given its YouTube property. Given how much Alphabet has on its balance sheet and how many people use Google and YouTube daily, the company could easily compete in the same way as Apple and Amazon does in future. According to our numbers, 141 elite funds were long Alphabet Inc (NASDAQ:GOOG) at the end of the fourth quarter, making Google’s parent company the second most widely held smart money holding in streaming in our list.